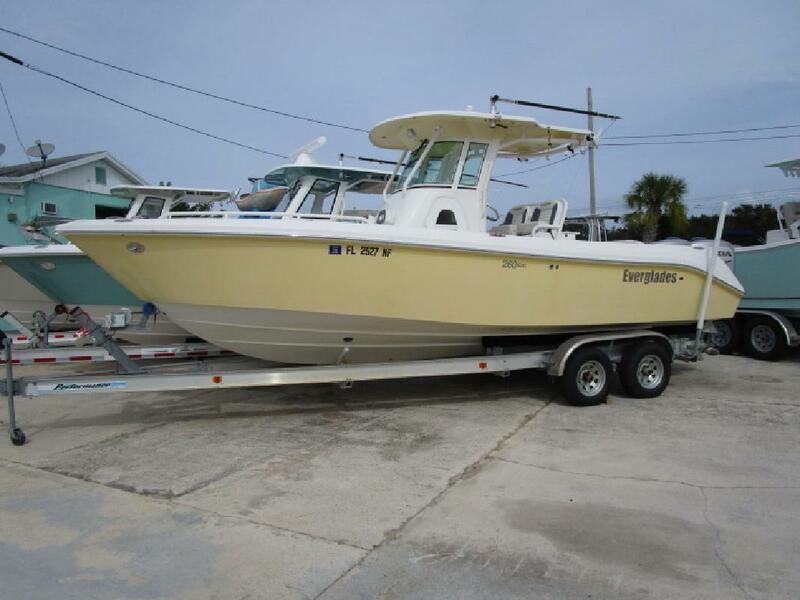 In-Stock, 2014 Everglades 260CC, Twin Honda 225s, Performance Trailer, , Trim Tabs, Stainless Steel Prop, Lowrance HDS12, Standard Horizon VHF, Tilt Steering, Compass, Stereo, Helm Station Tackle Storage, Windshield Wiper, VacuFlush Head w/ Pump Out, Windlass Anchor, Outriggers, Raw & Fresh Water Washdowns, Battery Charger, Mooring Cover, Downrigger & More Financing Available. We accept most trades. Call us or send an inquiry to get more info. Every New and Used boat is put through a series of checks and inspections to prepare your boat for the water. This is a crucial step in insuring that you will enjoy your new purchase to the fullest. Information is subject to errors and changes without notice.